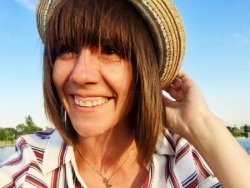 I have made it absolutely no secret on ye old blog how much I love and depend on PicMonkey. I use this amazing online editing program to edit my photos, to create images for t-shirts, and to make posters, hand outs, fliers, newsletters, programs, thank you notes, gift tags, and invitations. 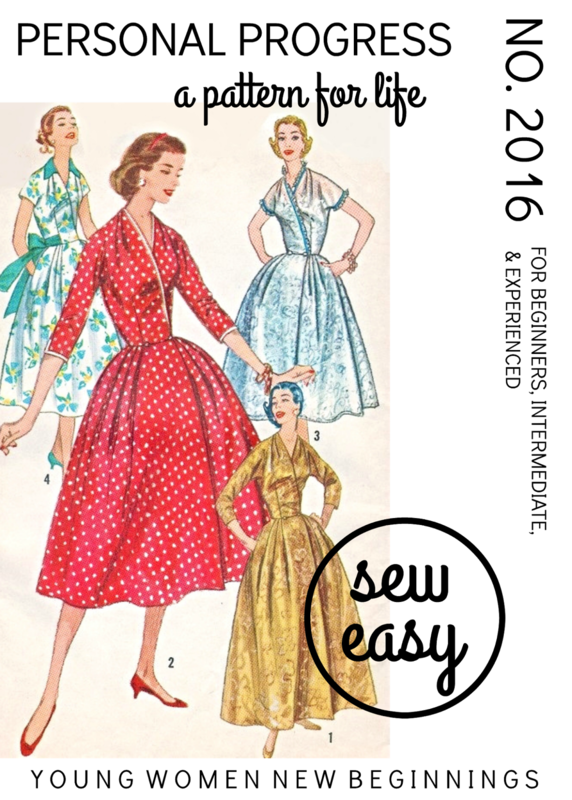 Over the years I have really honed in on how to use PicMonkey to do almost everything. While I may not have the elaborate functions of a program like Illustrator and that may mean I need to get creative; PicMonkey does offer a glorious amount of functions and edits plus the cost is nothing for the basic membership and practically nothing for the royale membership. 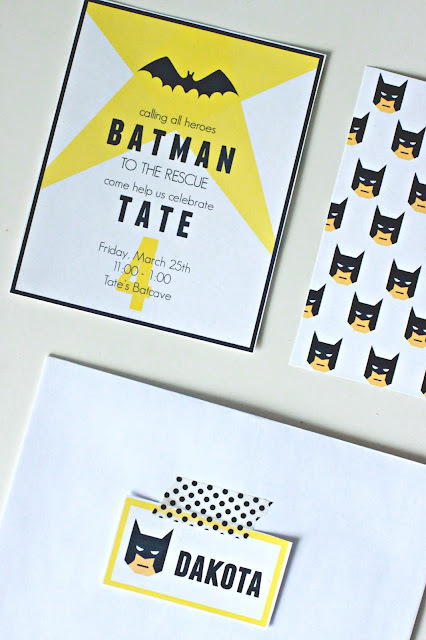 So let's talk about how easy it is to make your own invites. 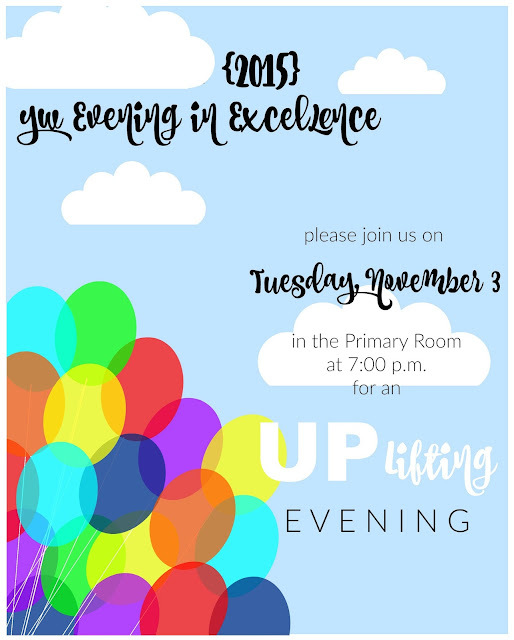 Most of the invites in this post took a little bit more time because several of the overlays I created (I will talk about that a little more in another post). However, PicMonkey has two features that allow you to easily add overlays that you don't have to make. 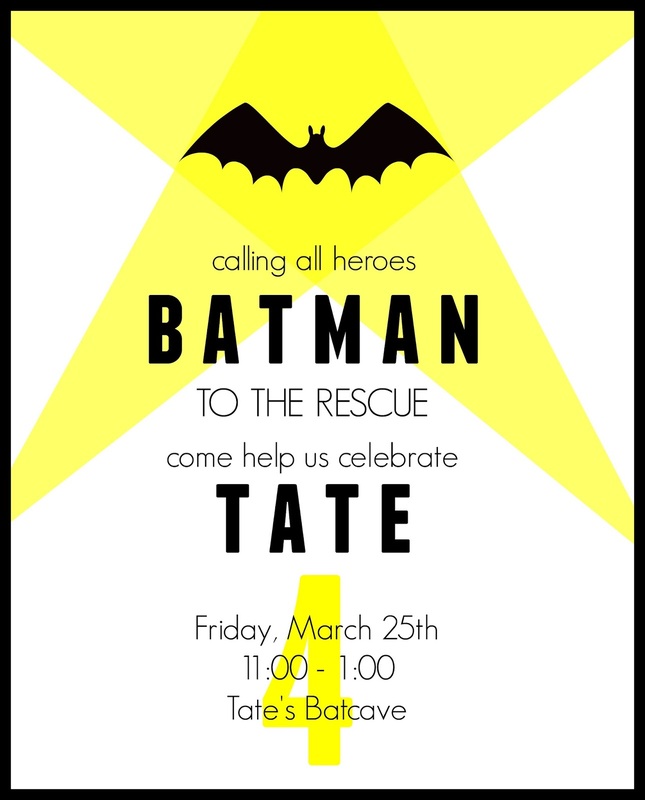 In the above batman invite, the batman head was designed and created by me in PicMonkey using different geometric overlays, but the bat at the top was an overlay already available. But I feel like I am getting a little ahead of myself. First things first. Get an idea of what you want. When you have an idea, it is easier to create an invite. Once you have an idea, then it is time to start creating. On the home page is a drop down menu. When creating any new project, you will use the design feature. I most often use the blank canvas feature, but they are also currently testing out a premade template option. I have used that once before on the BLOOM invite toward the end of this post. 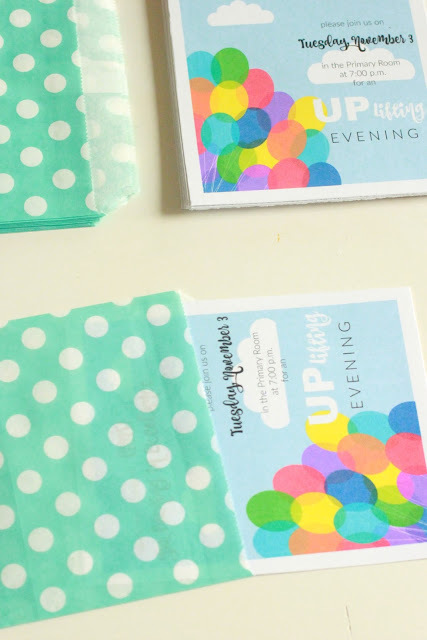 This feature is by far the easiest and fastest way to make an invite. However, if you want more of a creative say, then the blank canvas option is for you. The blank canvas option has tons of canvas size options. 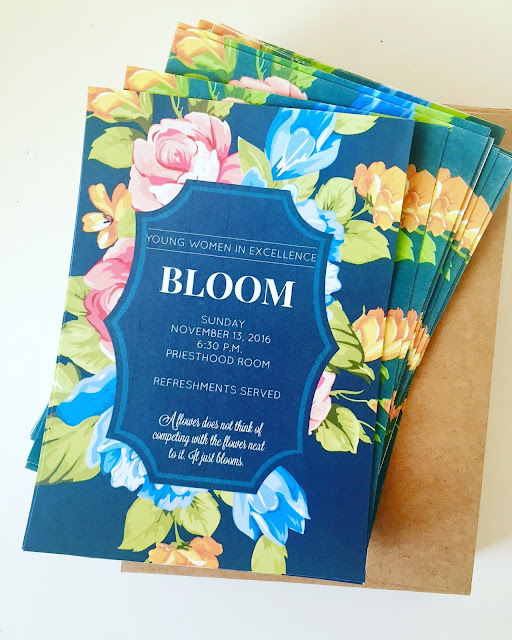 I most often use 4x6 or 5x7 when I am doing invites. Once you have your canvas, here is a quick and basic run down of making an invite. 1. Choose a canvas color, aka a background color. When in doubt, stick with white. It is more forgiving and versatile. Plus it is cheaper to print. 2. Pick your overlays, aka your pictures. You can choose from their overlays, or you can search clip art, or icons. Overlays can be found under the butterfly icon. A whole mind boggling drop down menu of options will appear. 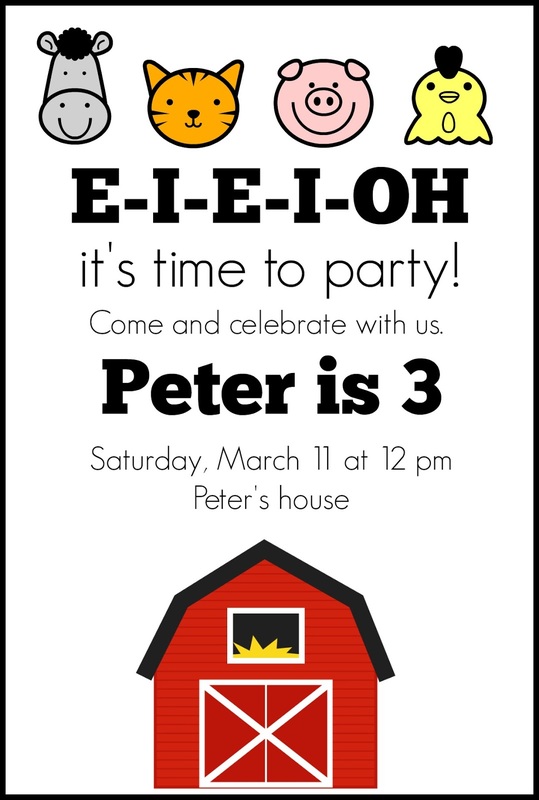 Let's say I am throwing a farm birthday party. I quickly find some adorable farm animals. I choose them and arrange them how I want. I would really like a cute barn. PicMonkey doesn't have a barn overlay. No worries though. That is where the internet comes in handy. In this instance I simply searched for barn clip art. I found a cute one right away. After I save it to my computer, I go to the "add you own" button in the overlays. Here you can pick from images you have saved on your computer. Then put the image where you want it. As you can see, I changed my mind about where I wanted the animals. That is part of the fun. Play around with it. As you can also see, I decided the animals needed some color. This is done SO easily, by clicking on each image and changing the color. 3. Next is the fonts. 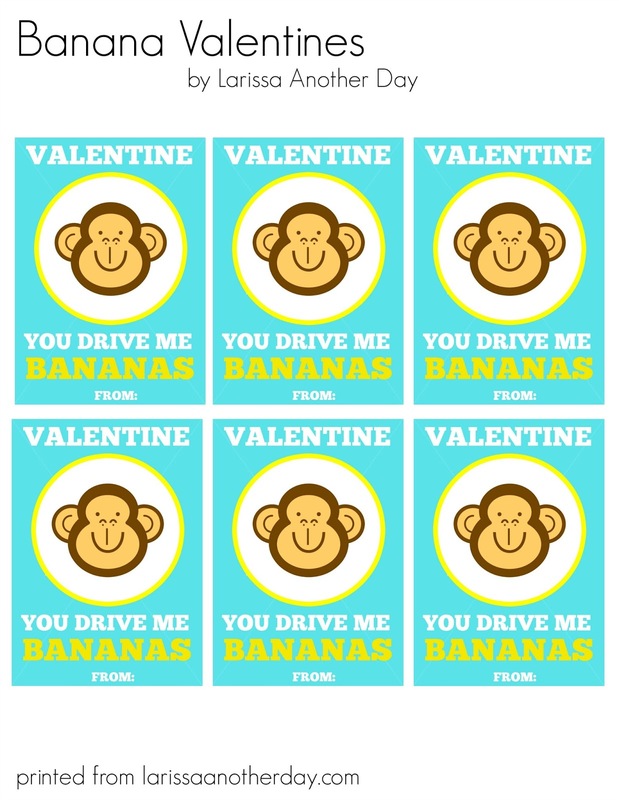 PicMonkey has a ton of great fonts. Some are only available with the royale membership. You can also use your own fonts. That is right, the fonts on your very own computer. Mix and match fonts. Use a big bold font for themes and main points. Then use a softer simpler font for the bulk of information. Here I used Chunk Five for the main themes and Geo Sans Light (a personal favorite) for the information. Again, play around with placement and size of the text. You can approach you text in many different ways. Text can be in a frame. Text can be different colors or in banners. 4. Borders. It is almost always a good idea to add a simple boarder. 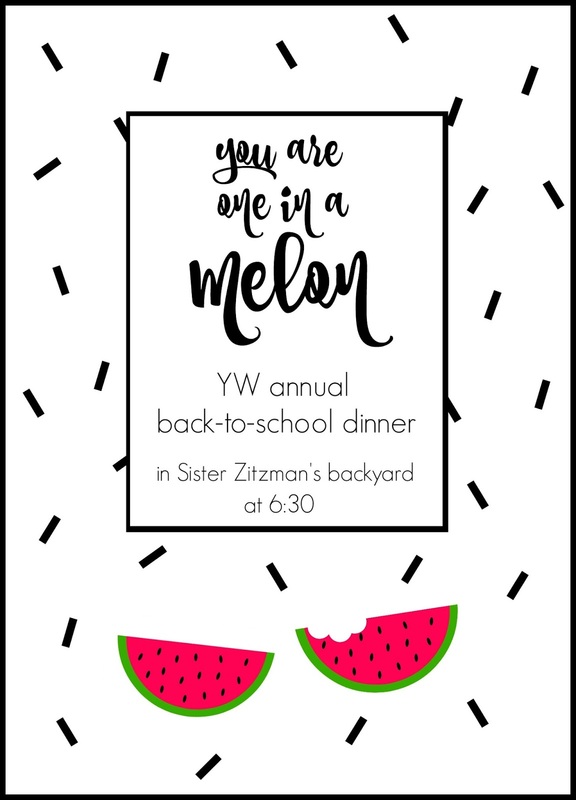 It finishes off the invite AND makes it easy to cut out. There are a lot of different boarder options found under the picture frame icon. Almost 100% of the time I opt for the Simple Edge. I like that it is cleaner and doesn't distract from the invite. Once you are done, you will have a really cute invite. 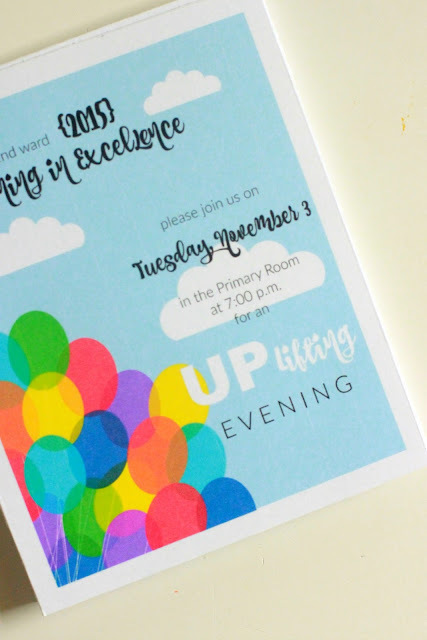 An Etsy quality invite that you made completely by yourself. You simple need to save it onto your computer. Then insert it into a Word type document. You can print them off yourself or you can put them on a USB drive and take them to an office supply store. I have done both. or whether it be a compilation of your own creative juices, PicMonkey will up your invite game. Seriously once you start you won't be able to stop. 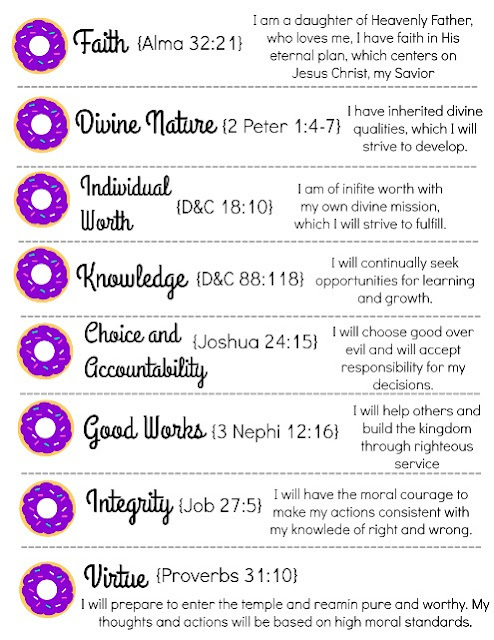 I hope this was helpful. I tried to keep it informative yet simple. Obviously I could go more in depth about some things (like how I make my own designs using only geometric overlays), but this post was already getting long enough. Like write a novel long, and no one wants to read that novel. So I will be done with all the instruction now. Again, hope it was helpful! Donuts are always a good idea. ALWAYS. 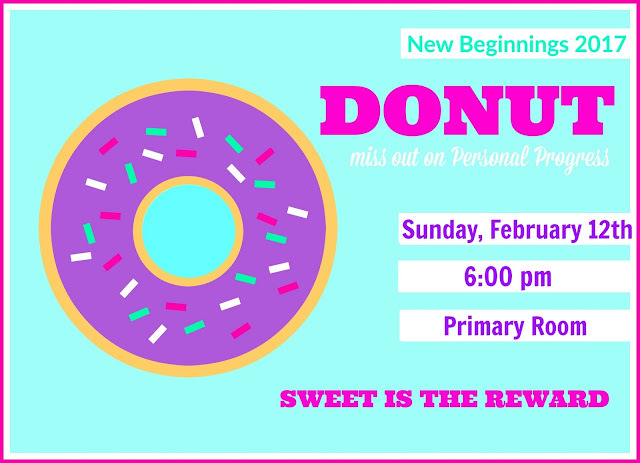 I recently used my love of donuts as a theme for New Beginnings for my church girls. New Beginnings focuses on Personal Progress. 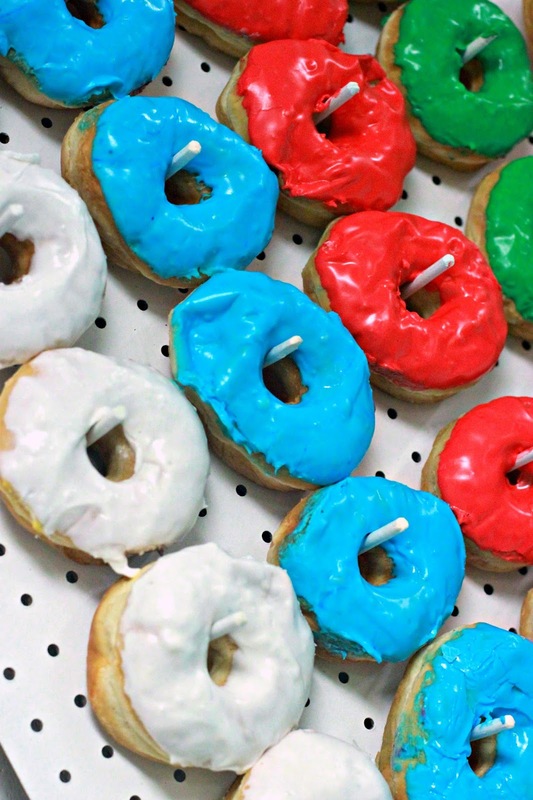 I had seen an idea while perusing pinterest using donuts, but for Young Women in Excellence. I loved the idea of using the play on word of donut with "don't". So away I went planning. Once I had the idea of using donuts as the theme the rest came together really easily. 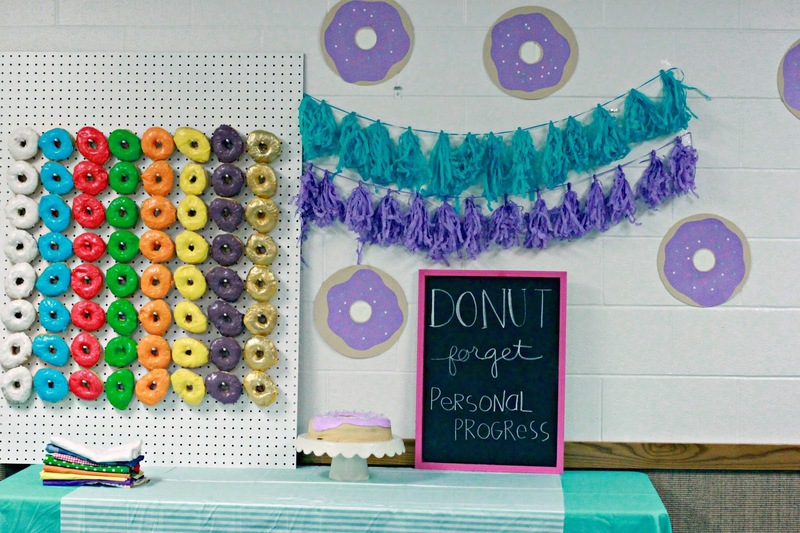 I used the donuts as decorations and in the talk I gave about personal progress. We chose bright and fun colors for the evening. 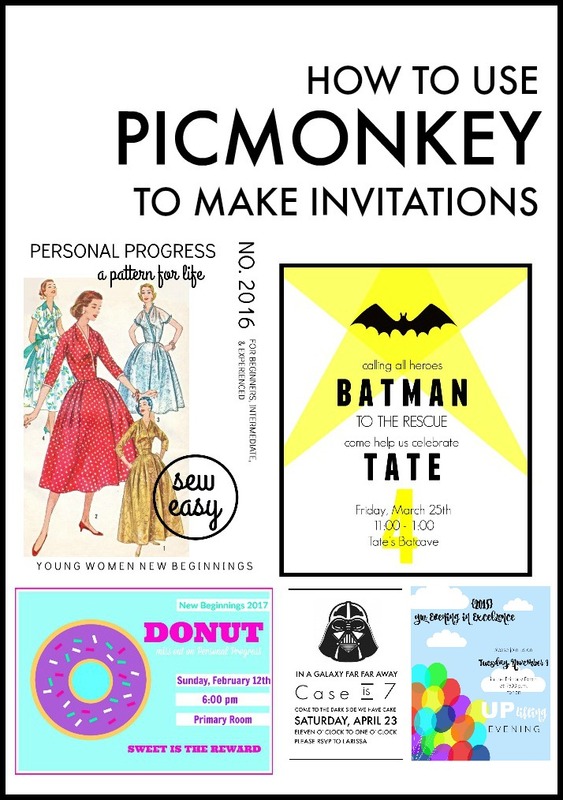 We started by handing out these invites, which I made using PicMonkey. You might notice that the nights tag line is different on the invites then it was on the chalkboard for that night. Basically, I just remembered wrong. HA. Either way, the tag line works. And I don't think anyone noticed my faux pas. While these invites are adorable, they weren't the best part. 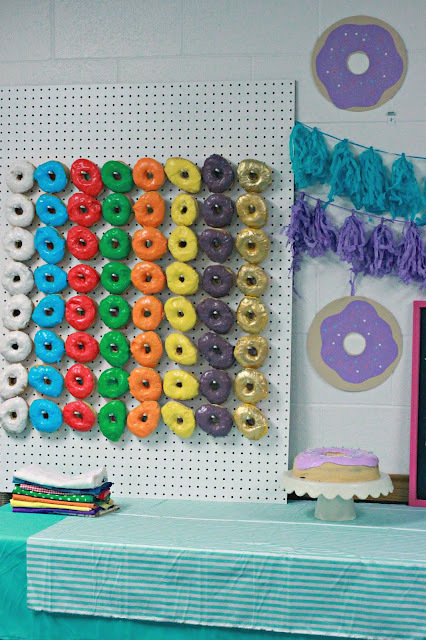 The real show stopper was the peg wall of donuts in the value colors. Can you say dreamy much? The idea of a peg wall of donuts is not a new one. 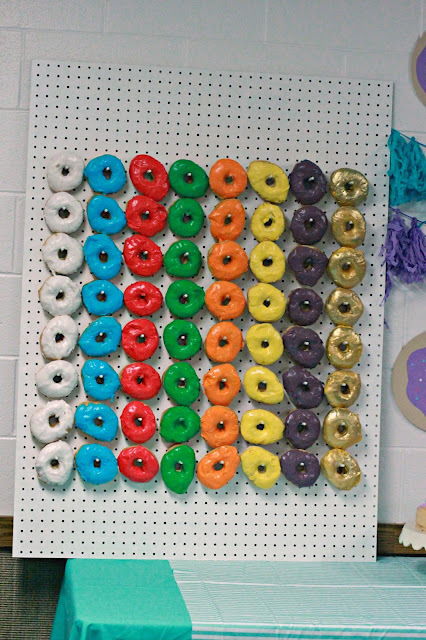 Pinterest is full of images of peg wall donuts. However, since it was New Beginnings I figured donuts in the value colors were a must. We worked with a local bakery, and they NAILED the colors. 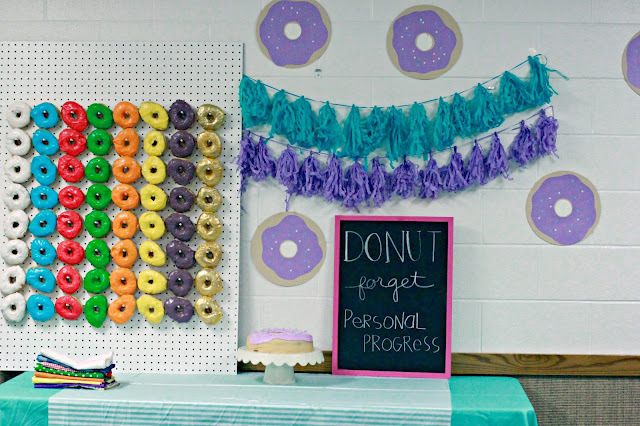 The wall of donuts was not only decorations, but it was also part of the dessert for the night (and breakfast for my boys the next morning). The first donuts to go were understandably the gold ones. Aren't those shimmery, metallic gold donuts magical? The bakery glazed them in a golden yellow and then brushed on the gold powder. Before I get to what we did for the program let me talk about the other donut details. I put donuts on the straws for the milk we served. 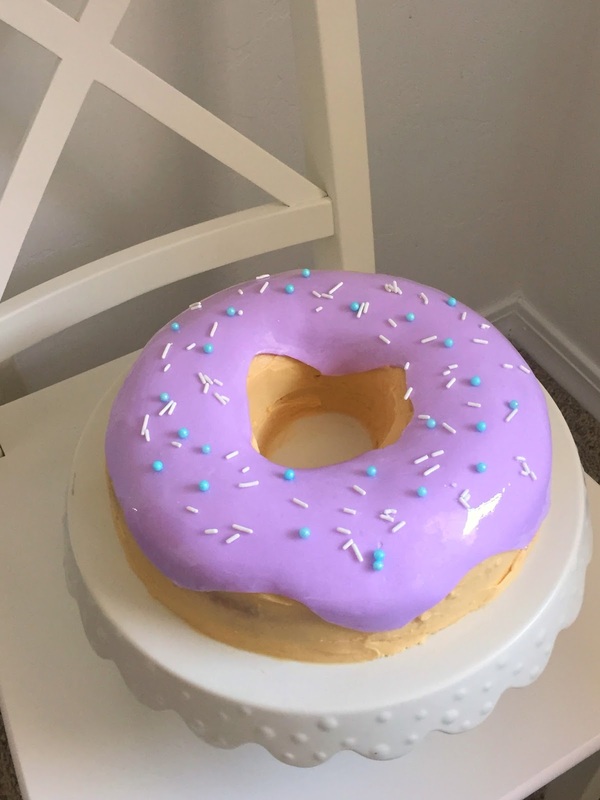 I also made two donut cakes. The donut-shaped pan made it a breeze. I used a boxed vanilla cake mix. I frosted it with buttercream frosting and used homemade marshmallow fondant for the "icing". 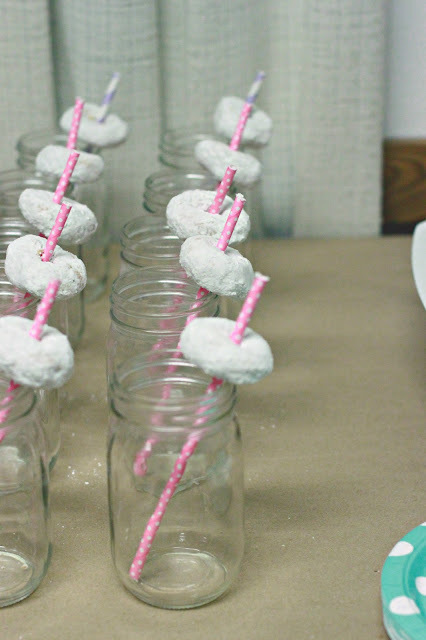 I copied the image of the donut from the invitation to the cake and the paper donuts used as decorations. We started with an explanation of personal progress from our secretary (also over personal progress). She read from the personal progress book and shared why we do personal progress. Next I talked about personal progress in reference to making donuts. The theme was Sweet is the Reward of personal progress. 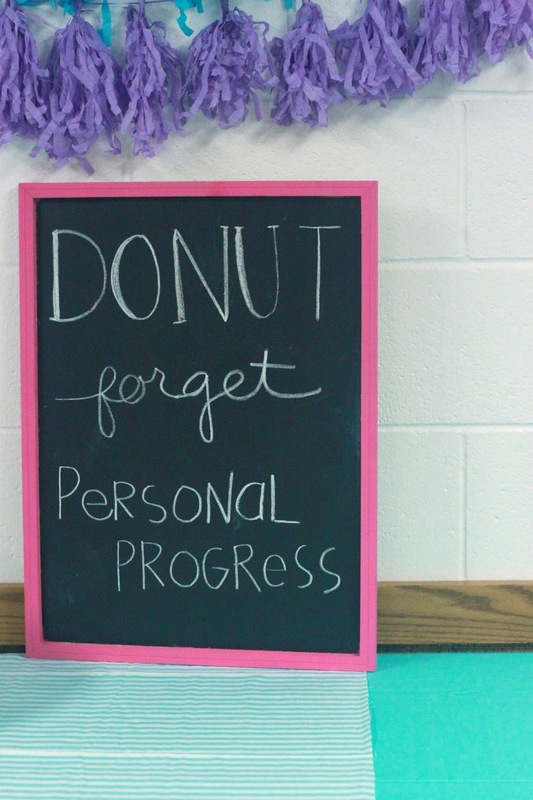 We compared the sweet reward of making donuts and doing personal progress. I used a recipe that had eight ingredients and gave each ingredient a value. I had eight Value Bakers. 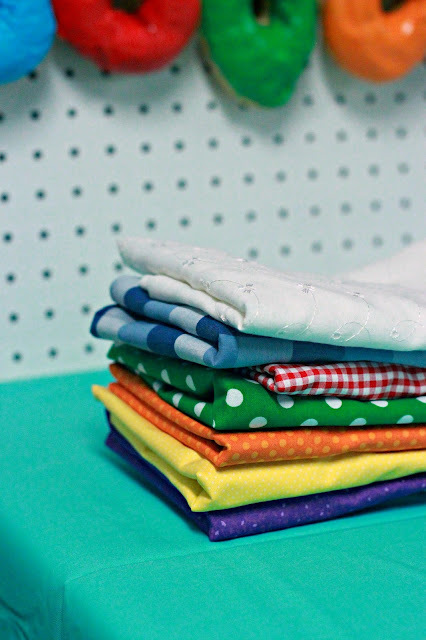 They each had pre-assigned parts and little half aprons that I made from fabric the color of each value. 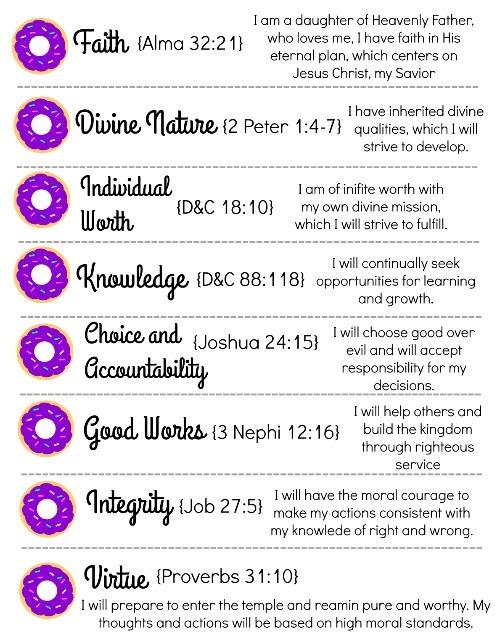 I talked about just as donuts need specific ingredients to turn out, there are specific attributes, characteristics, and principles that we should develop to help us achieve the sweetest reward, eternal life. Here are the parts I handed to the girls. I printed them out, cut them into strips and then gave them to eight different girls. We "made" donuts. I called up each value baker one at a time. Prior I printed out clip art pictures of each ingredient and cut them out. I had already given each value her coordinating "ingredient". I would call up the ingredient and the value baker would come up with the picture of her ingredient. She put the ingredient in a bowl I had and then said her part. After each value, I talked about the importance of that specific value. You could also have girls share and experience with that value. 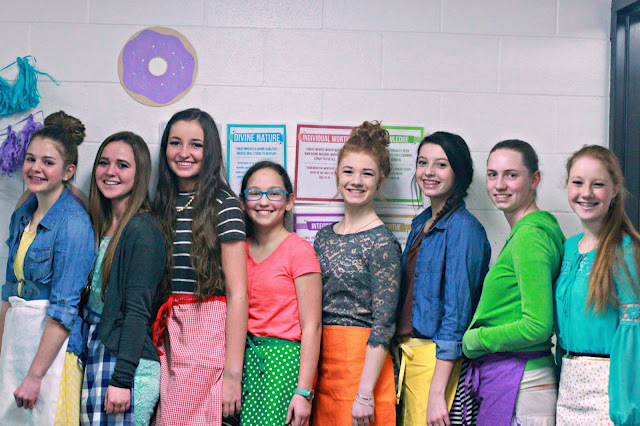 After the whole donut theme and that donut wall, these little value baker aprons were my favorite. Especially since they were on some of my beautiful girls. This night was so fun, and relatively easy (setting aside the sewing of the aprons and the making of the donut wall). I certainly hope that my girls donut forget about personal progress and that you donut forget about this idea the next time you are planning a New Beginnings. 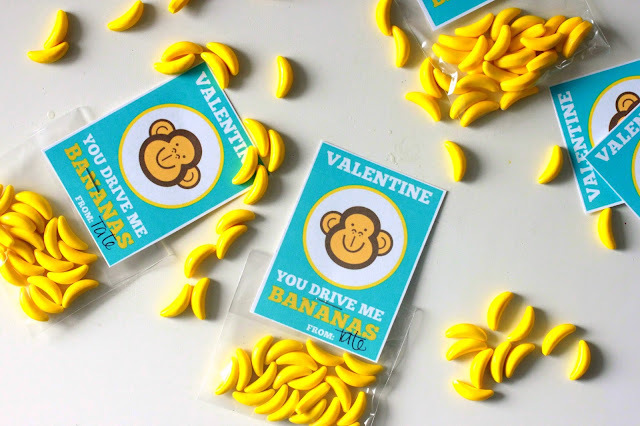 Classroom Valentine's are kind of a big deal at our house. I have said this before, but every year I think I am out of new ideas. 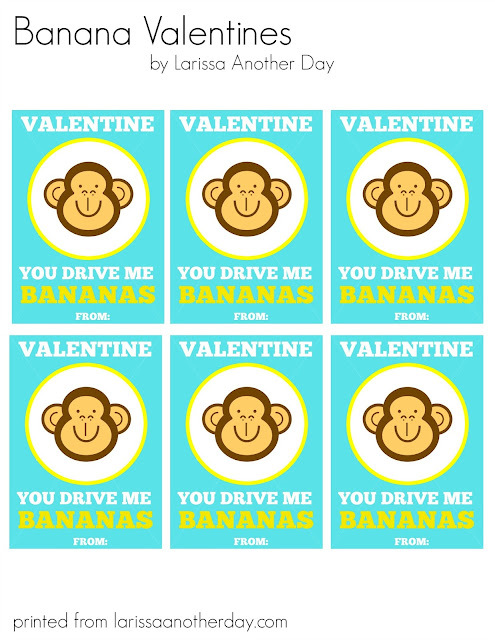 In fact, I was pretty close to just using an old idea or one of the meeeellions of cute ideas on Pinterest. Then out of no where-okay not really no where since I have been obsessing about an idea all day every day. 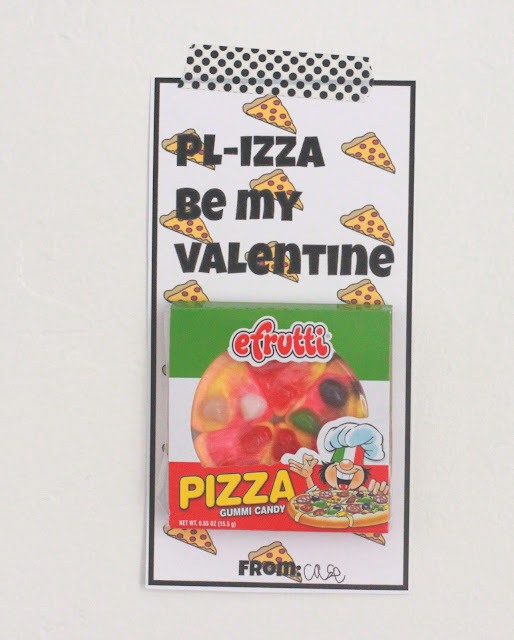 Anyway, I came up with this pizza valentine idea. 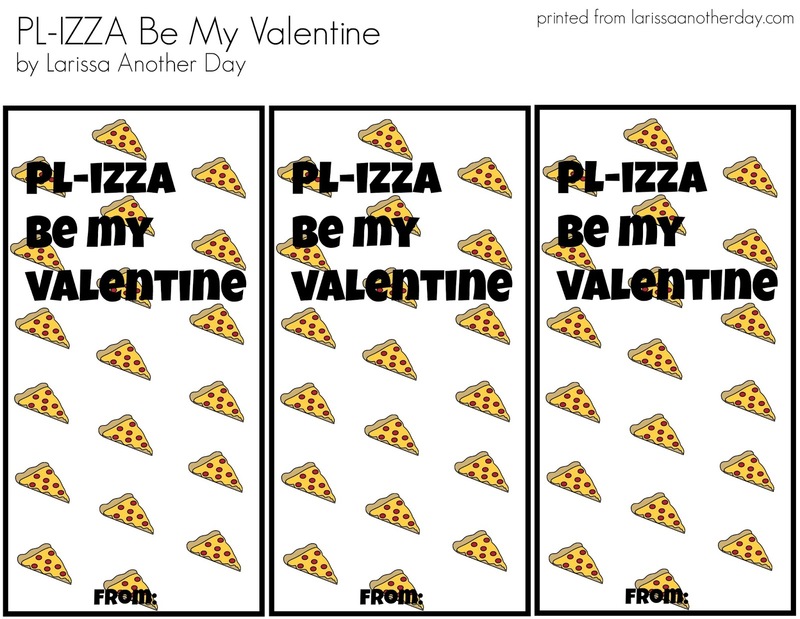 Seriously, "PL-IZZA be my valentine", I still giggle when I say it. Just ask my husband. I giggle and he rolls his eyes at my adorableness. These are my favorite for sure this year, if not of all the ones I have done. In fact, like I said on Instagram (@larissa_anotherday), I liked them so much I am making two of my kids use them. 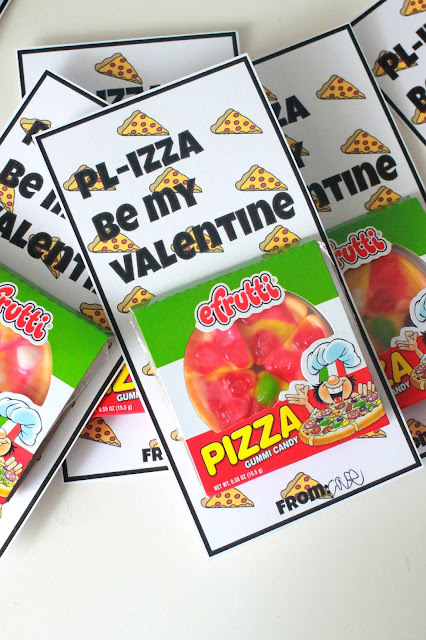 I ordered these cute efrutti gummy pizzas (they came in a box of 48, just perfect for two of my kids to use). Here is the available print off. Seriously, I know they might be "cheesy", but anything pizza is always a good idea. Oh gosh. I think I am so funny. Some one has too. Click on the link to download the file. Print off on cardstock. 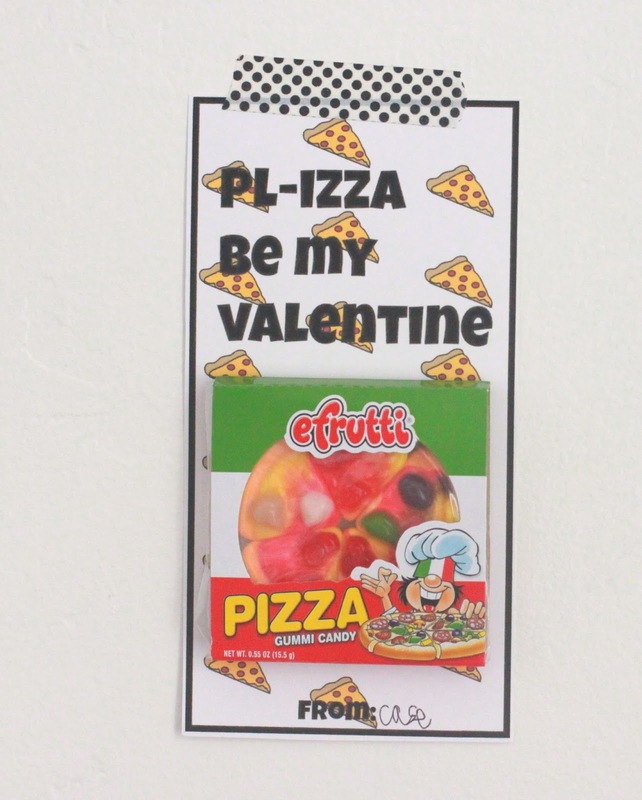 Last, attach a gummy pizza. 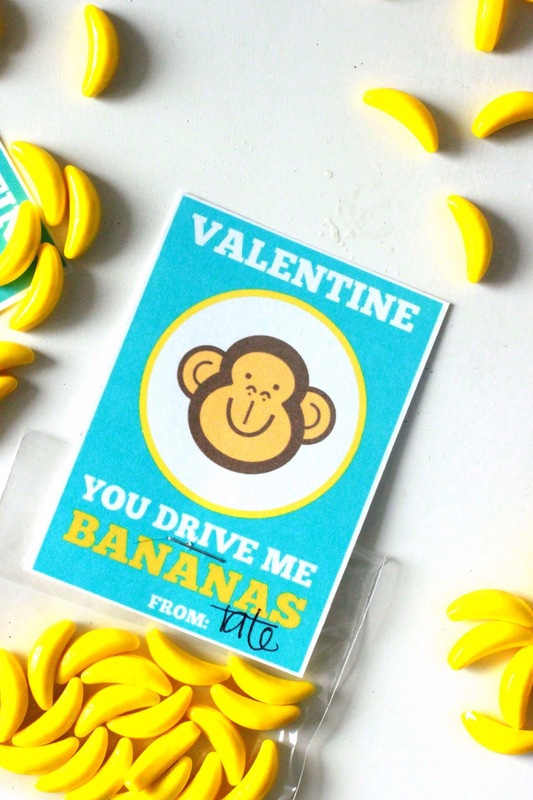 This is a great gender neutral valentine. Which is a big deal around these parts because boys don't approve of unicorns, hearts, and any thing too cutesy (unless they are being ironic). 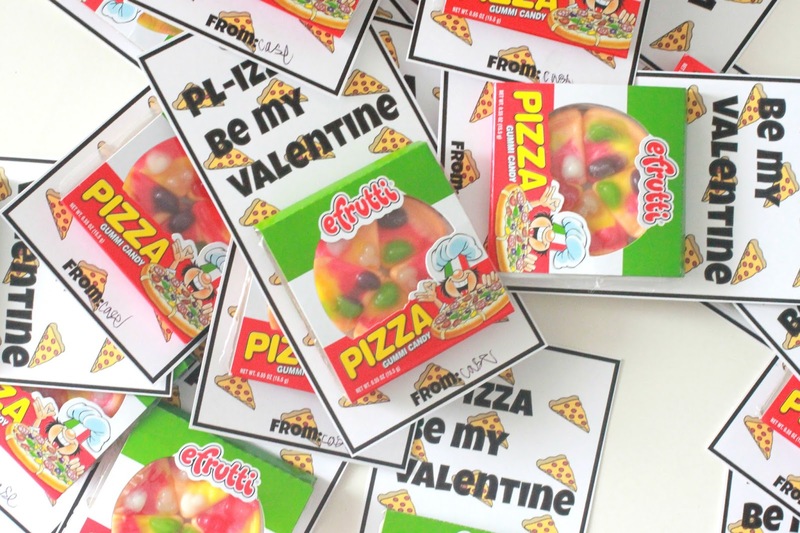 Look for my next classroom valentine idea tomorrow. 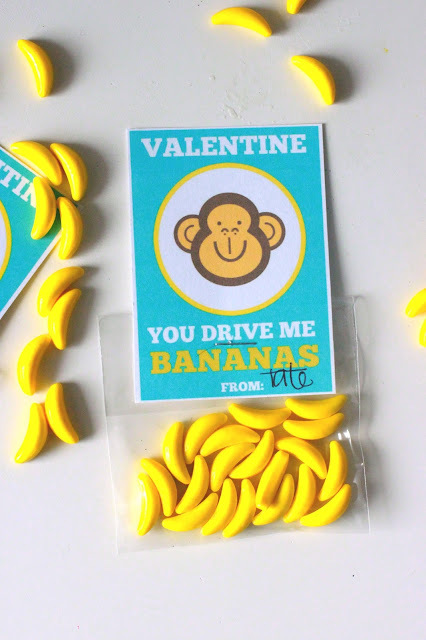 Also, be sure to look at my other classroom valentine ideas.